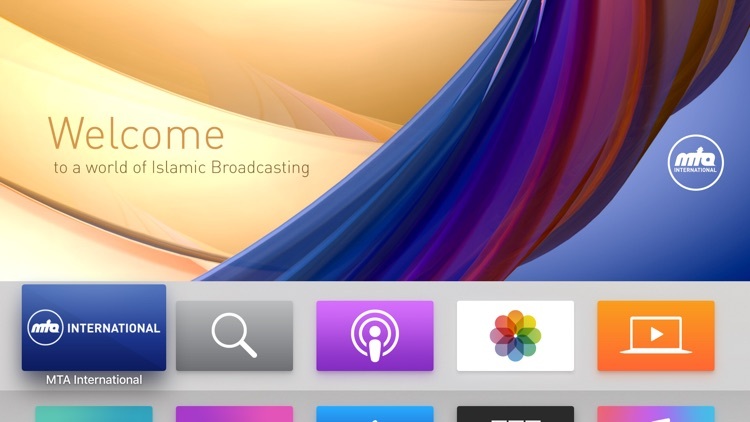 Wonderful Quran apps for Apple TV. Quran TV app is a concentrate of the best quran reciters in the world, an amazing user interface design and the best set of features. Quran Tv has 45 from among the best reciters in the world. + Redesigned for the new Apple TV : now faster, simpler, snappier UI, and more beautiful. - The application requires an internet connection with WiFi or 3G for use. MTA International's official TV App. Watch live broadcast and follow your favourite programme. Catch up on missed episodes of your favourite shows. Global Vision. Global Values. MTA International emerged in 1994 with the aim of providing a positive alternative in the broadcasting world. MTA was the brainchild of Hazrat Mirza Tahir Ahmad, Khalifat-ul-Masih IV (May Allah have mercy upon him), and ever since its inception MTA has been a unique channel in many respects. Its focus lies in producing programmes that can be enjoyed by people of all ages at all times. It recognizes that television plays a significant role in the world and has accordingly devoted itself to applying this influence positively for the purpose of educating its viewers. MTA’s future is not dependant upon commercial sponsorships or license fees, thus allowing it to concentrate on producing a variety of programmes on a range of subjects for its viewers in all parts of the world, without sacrificing standards. From the developer of the most authentic Quran app 'Quran Majeed' since 2010. Recognized by more than 3 million Muslim users around the world. ◉ Smoothly animated Quran text (in a beautiful glow effect) is displayed over high definition background videos of five heart touching scenes. 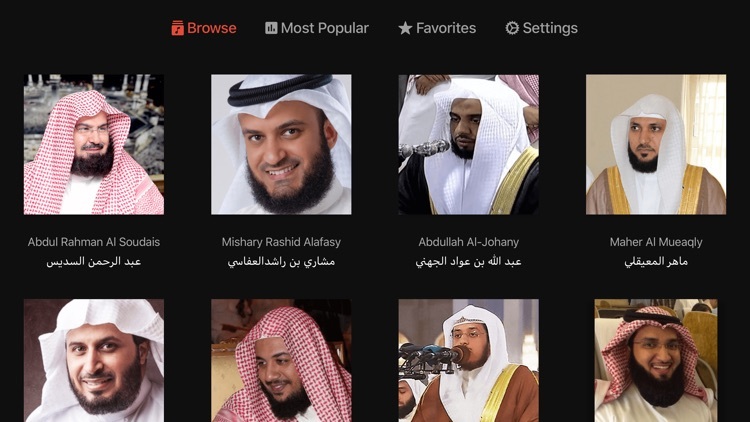 ◉ World famous reciters (Sheikh Abdul Basit, Sheikh As Sudays & As Shraym, Mishari Rashid, Saad Al Ghamdi, Abu Bakr Shatry, Sheikh Ahmed Ajmi, Sheikh Al-Huzaifi, Sheikh Mahir-al-Muayqali, Sheikh Minshawi, Sheikh Ayub, Khalil Husari, Mahmood AlBana, Salah Bukhatir & Sheikh Basfar). ◉ Airplay button for streaming audio to Airport Express / bluetooth speakers. For Airplay mirroring, use control center of your device. An interactive application for children in order to learn and memorize Juz Amma, Alphabets, and more than 12 prayers and Hadith for daily supplications. The application is designed for children from 3 years until 12 years. Provoking child curiosity to learn Quran and memorize it through the diversity of the backgrounds, the repetition of verses by Sheikh Al-Minshawi as well as a childish voice, in addition to many ideas. It is compatible with curriculum. * Memorization of Juz Amma. 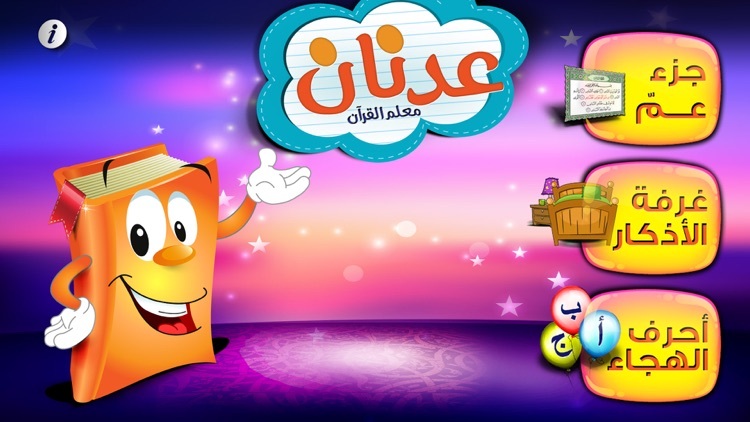 Stimulating the acoustic, visual, and moving senses of children through an interactive application, full of childish color and the attractive voices of the Cartoon character Adnan as a childish Guide and his distinct voice that attract children. The featured repetition style in the Holy Quran part where Sheikh Al-Minshawi reads then the children is repeating after him. The application idea is featured in the study of the beautiful colors for the backgrounds of each Sura (chapter) in order that the child is able to distinguish each Sura and remember its colors and memorize each single word..
A direct guide from the application and stimulating the visual feeling of the child in choosing voices, colors, and display style and make a chance for the child to discover.